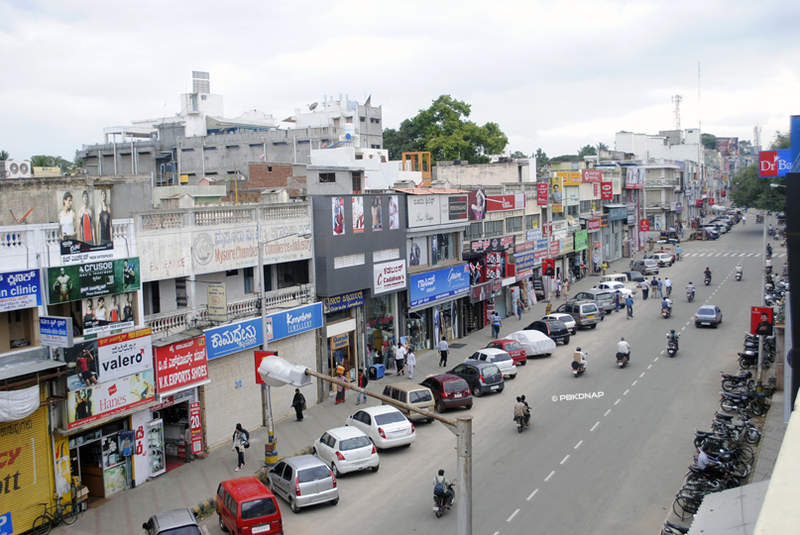 Mysore is a shopper’s delight, seamlessly blending old-world charm with modern trends. You can get lost in the vibrant bazaars and pick up local handicrafts such as wooden dolls and incense sticks, or head to a swanky new mall for the latest brands and eateries. With silks, sandalwood and sweets, Mysore has a lot to offer. Read on to find out some of the best shopping destinations for you in our list. This market is just buzzing with activity. Here, you will find everything from coloured powders to shiny jewellery and perfumes to clothes. They have a large variety of produce as well such as fruits, vegetables and our favourite, the sweets. It’s a must visit to get a glimpse into local life in Mysore. It can get a little crowded and hectic, so avoid going there on the weekend as the market is popular with locals and tourists alike. Best buy: This is a great stop for those looking to buy gifts to take home. Don’t miss the adorable Chenapatna Dolls. Good things come in small packages and that’s exactly what this small shop is a testament to. 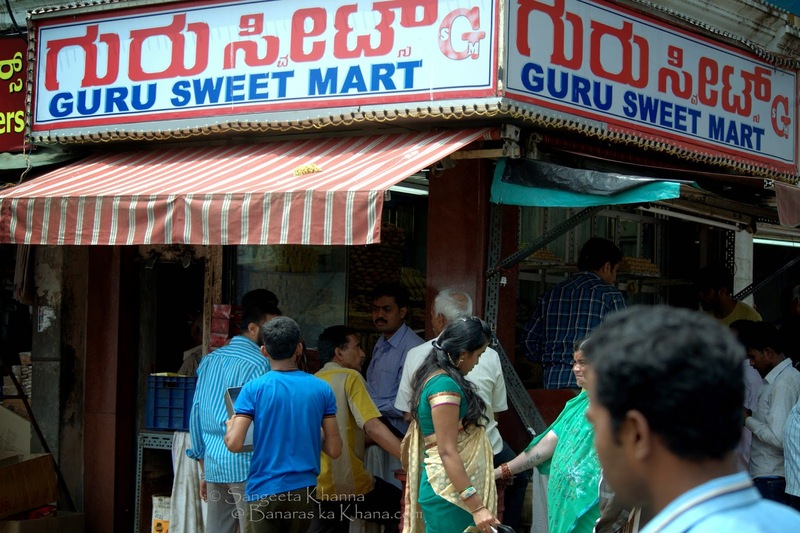 Stop by this sweet mart that is situated in the bustling Devaraja market for some ridiculously tempting treats. Packed with all types of local sweets such as laddoos, pedas, barfis, soan papdis and jalebis, the star of the store is still the famous Mysore Pak. Melt in the mouth with the richness of ghee, we recommend you don’t leave until you buy a box or five. 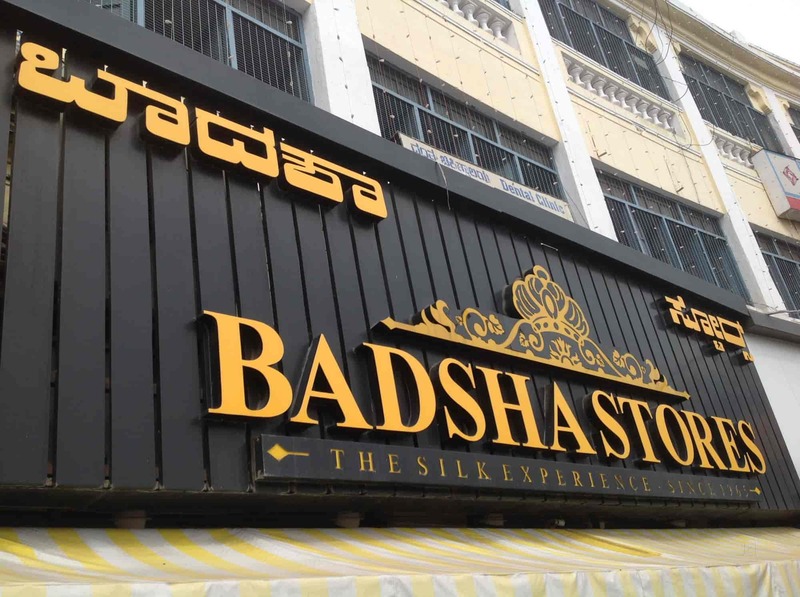 Definitely an unmissable tourist shop when you’re in Mysore. Best buy: The Mysore Pak is the best seller and rightly so. The pedas are also good. While it looks unassuming from the outside, this shop is choc-a-bloc with great buys. It showcases some of the best items Mysore has to offer such as pashmina, clothes, shawls, rugs, carpets as well as sarees and home décor items. The staff is helpful and well-versed with the products, offering you an insight into the history of it. It’s a great place to pick up souvenirs to take back home. Best buy: The home décor items and pashmina shawls are worth checking out. 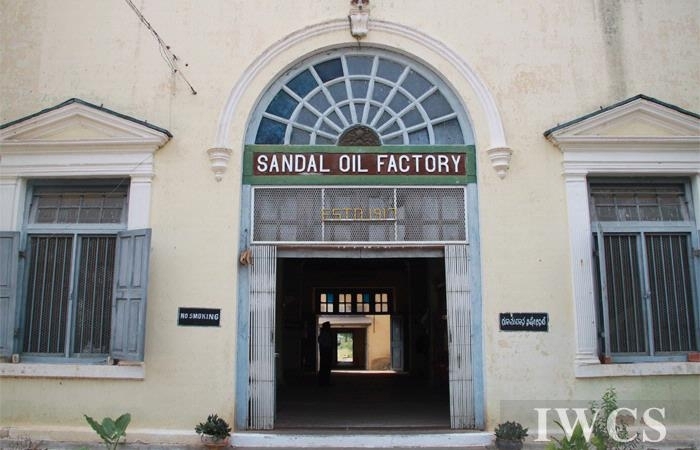 Established in 1916, this factory celebrates sandalwood. Here, you will be able to find amazing products, that all use this anti-ageing and healing properties of sandalwood. Choose from sandalwood oil, sandalwood soaps, agarbattis, high-quality perfumes, cosmetics, detergents and more. But this shopping trip can turn education too as you can walk around and see how they manufacture the products from start to finish. Best buy: All their products are good but the soaps and oils are standout. If you’re interested in culture and handicrafts, then add Cauvery Arts & Crafts Emporium to your list of places to visit. This attraction boasts of unique and traditional pieces that are made from a variety of materials and have been inspired by Karnataka. Some of the items you can find here are sandalwood carvings, rosewood inlay, traditional Mysore paintings, stone carvings, other wood carvings, traditional jewellery and more. Buy: The stone carvings are beautifully made, though they are a little pricey. If you’re looking for major brands and great variety, then visit this premium mall. Getting here is easy as it is a landmark and you will find all the popular brands here as well as gaming centres, food joints and other entertainment options. Apart from looking for the best deals, you can also take in the architecture of the mall that aims to balance traditional with contemporary. Best Buy: Latest electronics and clothes. This mall is a very popular spot for locals as well as tourists. It’s always full of activity and the range of stores is quite impressive. You can pick up clothes from some popular international brands, catch a movie at the PVR cinema there and dig into some fast food or local treats at the eateries. You can spend a whole day in the mall, and there are quite a few stores that sell local treats for you to indulge in. Best buy: If you’re looking for trendy clothes and international brands, it’s worth a visit. Timing: 11 am to 9 pm on weekdays and 10.30am t0 10.30 pm on weekends. Straight off the loom, the silk you will find here is truly unique to Mysore. A popular attraction for tourists, you can see the master weavers at work here and marvel at the silk — starting from a bundle until it’s finally weaved into a sari. As they use real gold for the work, the prices can get a little steep. However, it’s great quality and easily the best you will come across. It gets crowded over the weekend, so plan your trip accordingly. Keep in mind no photography is allowed inside. All that glitters can be found on this road. Famous for its jewellery, this area is filled with goldsmiths and jewellery stores, so you’re surely going to find something you like. As the street is pretty much devoted to jewellery, you won’t find much else here, so we recommend heading here if you want to pick up something. Staff is sweet and will go out of their way to assist you. It doesn’t get too crowded but we suggest going post lunch. If you’re not heavily into gold, they do have artificial items on offer as well. Best buy: Their earrings and bracelets are quite unique and offer a mix of traditional and contemporary design. What started off as a small village store has grown into a major player when it comes to silk. They offer a wide range of saris here as well as fabrics. Their collection comes straight from the weavers and artisans from villages in Karnataka, Tamil Nadu and Andhra Pradesh. Some of the stand-out pieces you can find here include Banarasi silk sarees, brocades, and fabrics, 100% pure silk scarves, stoles, ties and duvet covers. Best buy: Their pure silk scarves are beautifully made with some great designs. An ideal holiday spot for the family, Mysore is filled with things to do (and buy!). So, make sure you keep this list handy when you visit for a complete guide to shopping in Mysore.